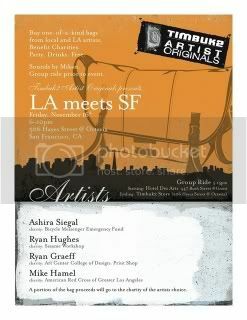 Timbuk2 Artist Originals event: "LA meets SF"
Buy one-of-a-kind bags from local and LA-based artists. Benefit Charities while you're at it. Group ride prior to event.